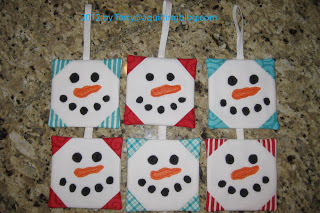 Terry from A Quilting Blog has a tutorial for adorable snowman ornaments on her blog. She used a super easy snowball block to make them (love that theme!) and they turned out so cute. You can follow her tutorial here. 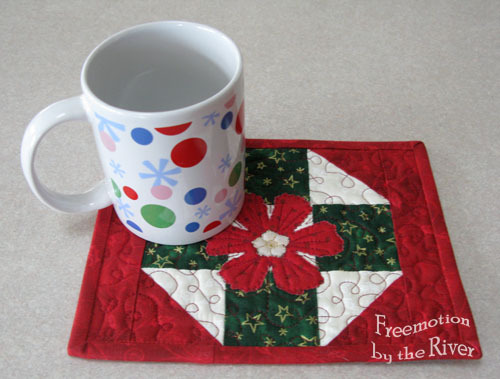 Connie at Free Motion by the River has put together an excellent Christmas mug rug tutorial. 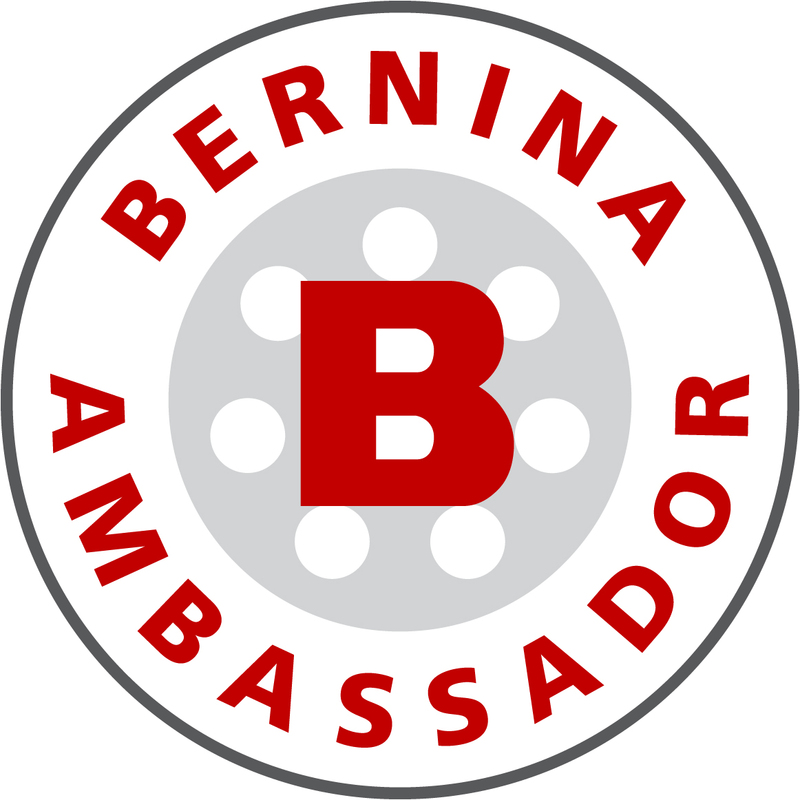 In fact, she has several posts about different mug rugs, mats and fun holiday ideas that I know you will want to check out on her blog so be sure to take your time reading and enjoy it! 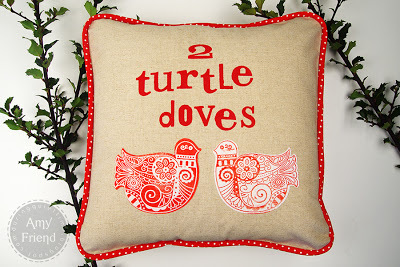 Amy from During Quiet Time made some fun Christmas pillows from the song “12 Days of Christmas”. She focused on the line about 2 Turtle Doves for her festive creation! I love it, don’t you? 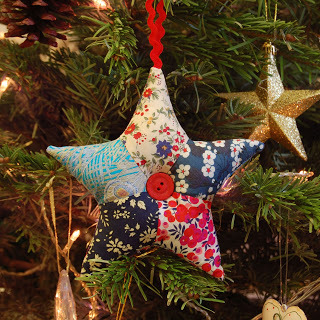 Karen, blogging at BlondeDesign has decided to share this fantastic Patchwork Star Ornament tutorial. I definitely feel the need have to make a few of these for next year! Karen is talented enough to have been featured on Liberty of London’s blog. Way to go Karen! Another talented Karen, from Sew Well Maide, has stitched together a very crafty Christmas garland created from felt. She’s also hosting TGIFF (Thank Goodness is Finished Friday) this week so pop on over to her blog and you will be treated to loads of inspiration! After browsing through all these awesome Christmas craft ideas, there is still more sewing fun to look forward to in the new year! 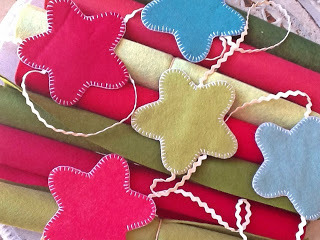 Did you like my beginning paper piecing tutorial I finished last week? 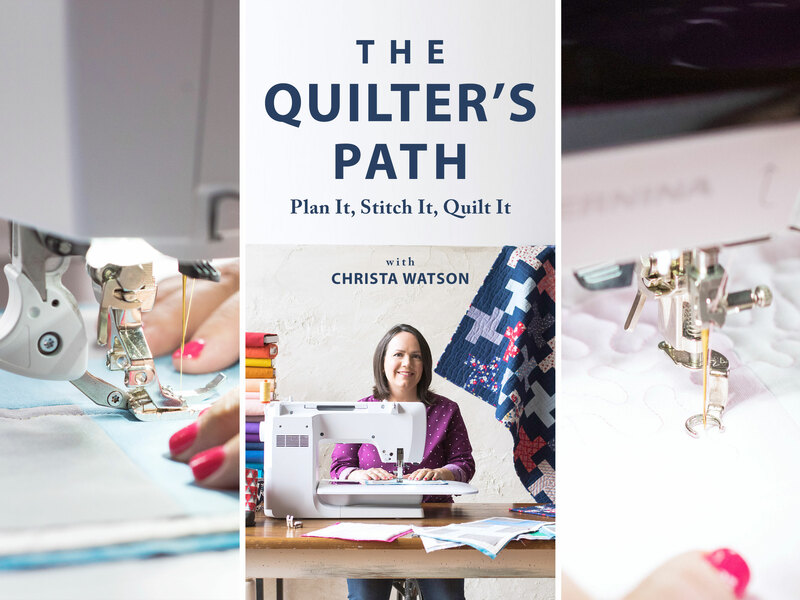 If so and you are ready for more paper piecing goodness, you are in luck! 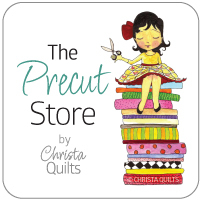 Kristy from Quiet Play will be launching a fantastic sewing-themed block of the month starting in January. There will be prizes for those who participate and each pattern presented will be free for that month! 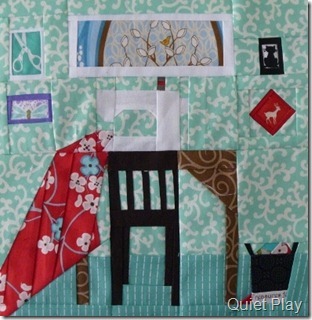 Her adorable “Sewing Room” block caught my eye some weeks ago and now I can’t wait for more! I love the ideas and for some of us Christmas isn’t here yet. OK so there are 2 days left. That is a lot of time to still sew. I handed out YoYo lollipop ornaments this year. Simple but people loved them. Small gifts can bring lots of smiles and joy. They go inside cards and packages and don’t weigh a ton that requires a loan to buy stamps. Make yo yos out of striped fabric. Stitch together with a button on each side covering the center holes. Simple buttons work best. Add a thread hanger at the top. Glue a lollipop stick (50 for $2.00) from the local craft fabric store using Fabric glue. Add a ribbon or pearl cotton bow leaving the ends and bows long so they twirl around the stick when the ornament is hung. I used red and white stripes but also pink and green and a blue/white batik for those who celebrate Hanukkah….any combination that you like just be sure to use the same fabric for both yo yos in the same lollipop. I made 4 dozen (96 yoyos) and they went like hotcakes. 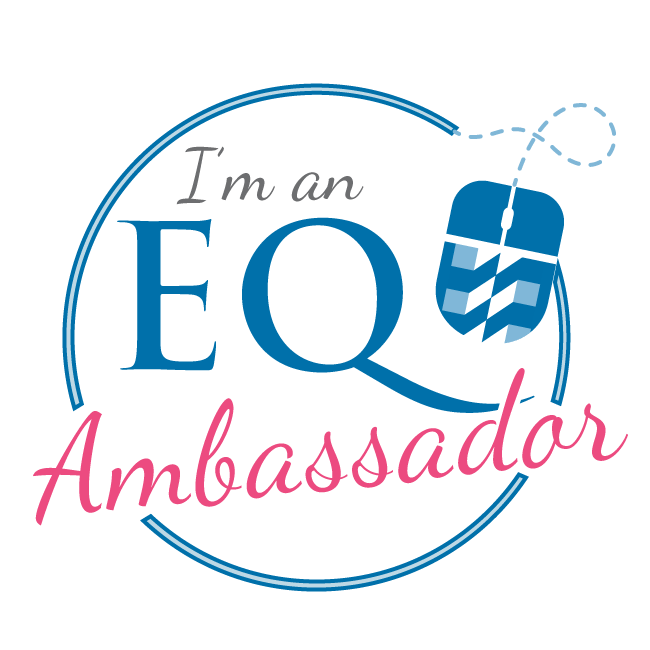 PS, Remember the people at your local quilt store, they like surprises too. Think of all the fabric they have cut for you throughout the year. Happy Holidays! Thanks for all the Christmas ideas for next year. My daughter is a scrpbooker and she wants to make homemade paper ornaments for her tree next year and I told her I would make some fabric ones so these will come in handy. Merry Christmas to you and your family. Have really enjoyed reading your blog this year. 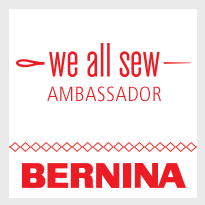 What lovely projects from everyone, makes me want to run up to the sewing room and make a start on something……..